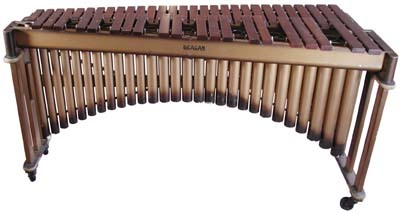 The Deagan Caprice marimbaAn instrument that consists of a large frame and a set of tuned wooden bars which are struck wi..., model number 50, was a short-lived, top-line instrument manufactured between 1946 and 1949. 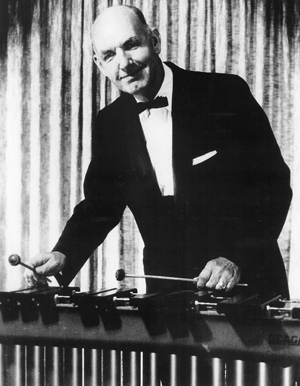 This model re-introduced the use of metal in the construction of Deagan marimbas after the ban on its use during World War II. 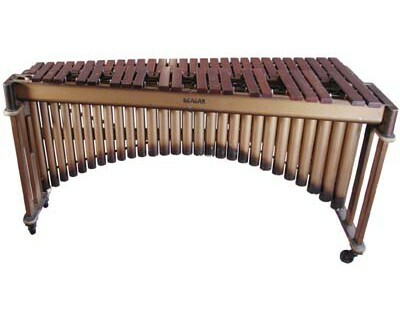 Having a four-octave range of C to C, it set this range as the standard for the post-war construction of marimbas. The instrument is 36 1/4 inches high and 69 3/8 inches long. The largest bar measures 16 1/8 x 2 1/8 x 7/8 inches and the smallest measures 7 1/8 x 1 5/8 x 1/2 inches. This marimba belonged to PASThe Percussive Arts Society is a music service organization whose mission is to inspire, educa... More Hall of Fame member Charles Owen. It was used in countless performances during his extensive career as soloist with the United States Marine Band, Principal Percussionist with the Philadelphia Orchestra, and Professor of Percussion at the University of Michigan. Its most notable appearance is in Owen’s recording of the Creston “Concertino for Marimba and Orchestra, Op. 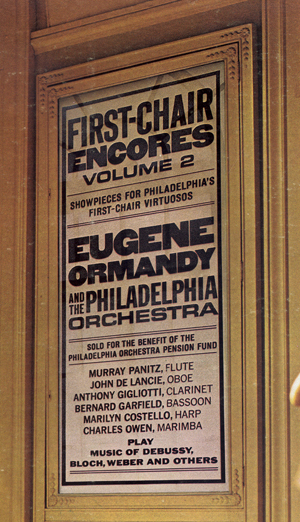 21” with the Philadelphia Orchestra for the Columbia Masterworks album First Chair Encores, Vol. 2.